Since 2017, Stefan Anker has been Professor of Tissue Homeostasis in Cardiology and Metabolism at the Berlin-Brandenburg Center for Regenerative Therapies, an institute of the Charité. He studied medicine in the Faculty of Medicine (Charité) at the Humboldt University of Berlin, where he also earned his doctorate. He then worked as a Clinical Research Fellow at Imperial College London. Back in Germany, he held professorships at the Charité Berlin and Göttingen University Hospital. Anker is member of the German Centre for Cardiovascular Research (DZHK) and Vice-President of the European Society of Cardiology (ESC). In his research, Stefan Anker investigates the mechanisms of tissue metabolism leading to sarcopenia and cachexia in chronic diseases as well as cardio-oncological issues in patients with advanced cancer disease. The development of novel treatment concepts is in the foreground, on the one hand to avoid weight loss of the chronically ill with build-up of muscle and adipose tissue, and on the other hand to develop cardiological therapies for tumor patients. His greatest success in cardiology research so far are related to the establishment of iron deficiency as therapeutic target in patients suffering from chronic heart failure with and without anemia, and particular studies showing the usefulness of therapy with intravenous iron that are now part of the guideline recommended therapy of heart failure patients. 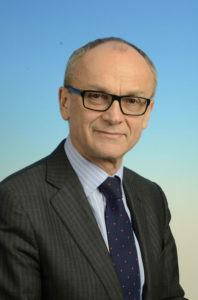 Piotr Ponikowski is Professor of Cardiology at Wrocław Medical University, where since 2016 he has also served as Vice-Rector for Research. 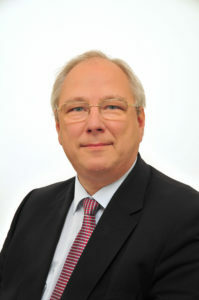 He is also the President of the Polish Cardiac Society. He studied medicine and earned his doctorate in Wrocław and has researched at Karolinska University Hospital in Sweden and Imperial College and Royal Brompton Hospital in London. Piotr Ponikowski’s research interests include heart failure, coronary heart disease and cardiac arrhythmias. His research contributes to better understanding of the role impaired cardiorespiratory reflex control in the pathophysiology of heart failure syndrome with potential implications for therapy. He also investigates the role of impaired peripheral mechanisms in the progression of heart failure. Furthermore, his work focuses on comorbidities in heart failure (with special interest in iron deficiency) and acute, decompensated heart failure. His recent major achievement is related to the discovery of the prevalence and clinical consequences of iron deficiency in heart failure syndrome with subsequent evidence of usefulness of iron repletion therapy in these patients. Anker and Ponikowski have a long record of professional cooperation and joint achievements. Most notable is the first ever description that wasting (cardiac cachexia) is prevalent in heart failure patients. Also the discovery of iron deficiency frequently complicating the natural course of heart failure and being an independent predictor of exercise intolerance and poor quality of life goes back to the collaborative work of Anker’s and Ponikowski’s working groups in Germany and Poland. These observations were followed by randomized clinical trials, prognostic improvements, new therapeutic options, and guideline recommendations to correct iron deficiency in heart failure patients. As members of the “Task Force for the diagnosis and treatment of acute and chronic heart failure of the European Society of Cardiology” Anker and Ponikowski (chairperson) developed the 2016 ESC Guidelines for the diagnosis and treatment of acute and chronic heart failure. This document is considered as one of the worldwide leading for the clinical practice and has been cited several hundred times so far.